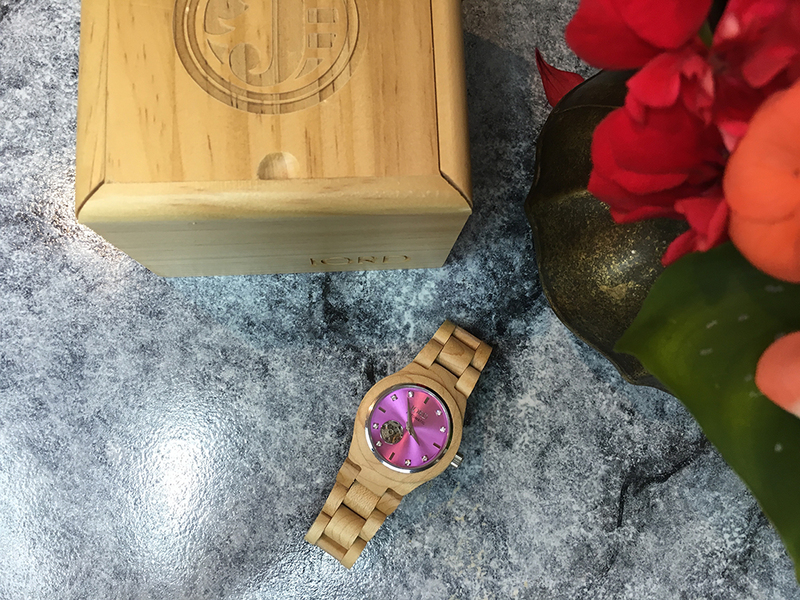 I just wanted to take some time and show you guys my new wood watch from JORD, and introduce you to the brand if you're not already familiar with them. 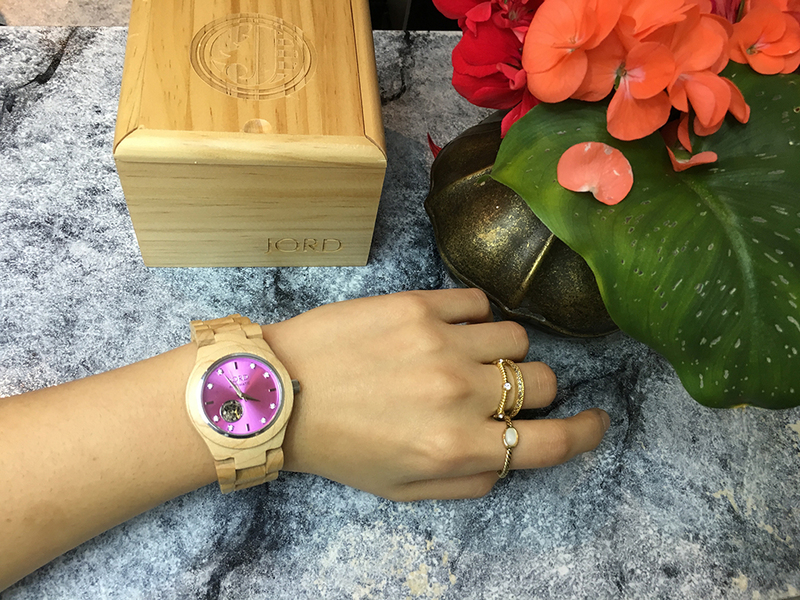 To be honest if I were to think of a watch made of wood, I would've thought bulky and uncomfortable, but these watches are so comfortable on the wrist, so easy to wear and are so unique. 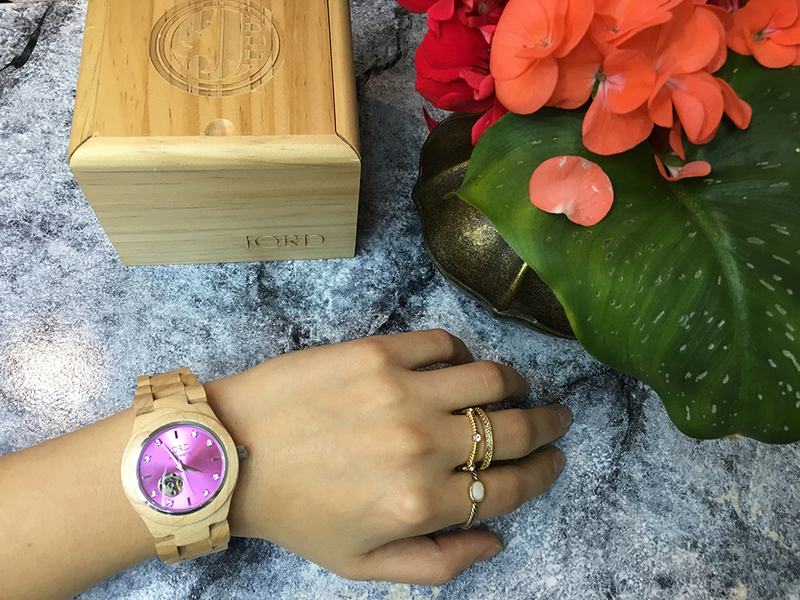 When given the chance, I chose this one from the Cora Series in Maple and Lavender because the lighter wood matched my style and would go better with my outfits and I love that the lavender added a pop of colour, incase I had a monochrome outfit on. I also love the detail inside the watch, where the gears are visible and you can see them moving. In the picture above I've shown a little sneak peak of an outfit post to come to show how I styled my watch, but below are images which focus on the watch itself and the beautiful packaging it comes with. 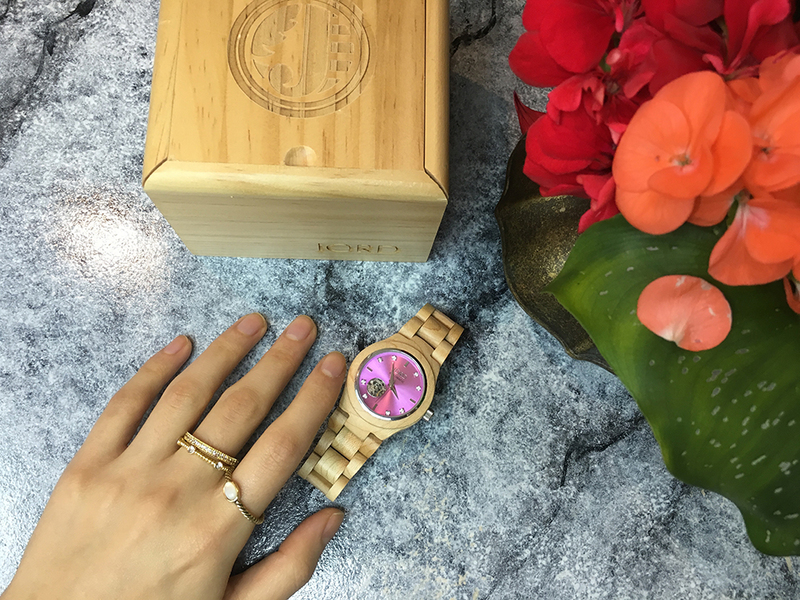 Be sure to check out all their products on woodwatches.com because there are many different colours and designs and they make for a perfect gift (which comes with free shipping worldwide). Xmas is coming up after all.